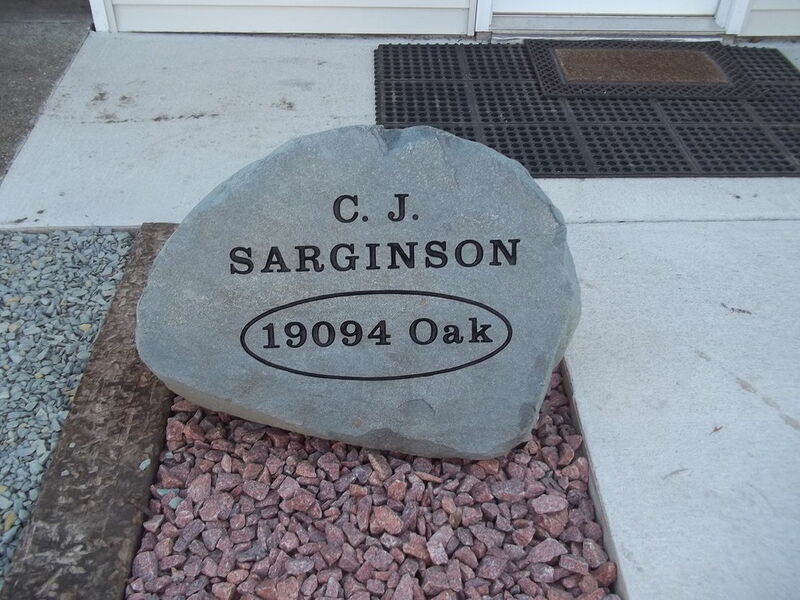 Personalized landscaping stones draw the eye and brighten any landscaped area. You can capitalize on the raw beauty of the stone, or have it shaped into just about anything your mind can imagine. For the truly unique, consider etching an image or a saying into the rock. Granite stones can be engraved with address numbers, with or without etched graphics and sized large enough to be seen from far away. Large stone signs can be placed at the end of driveways to make a bold statement. Use personalized landscaping stones to set apart destinations within your landscaping. This destination could be a garden or a sitting area. Consider adding a stone bench to compliment your decorative pieces. The natural stone will add an unusual element of décor. Personalized Landscaping Stones are also great conversation pieces. Most people do not realize that granite boulders come in a wide array of natural colors – from pink to black. You can choose any color. We suggest finding one that will pop and draw the eye to your landscaped area. You can choose any message or graphic to etch into your stone. Bring your ideas to a design center, and their artists can help you turn them into a reality. Memorialize a pet or commemorate a loved one with an etched garden stone. That way you can honor their memory in a beautiful setting. Get a personalized landscaping stone for your home at Always in Stone. We carry a wide variety of natural granite in either of our two showrooms. Select the perfect color, shape, and size for your project. Each landscaping stone can be engraved to your specifications. Once you’ve selected your stone, you can send us your photos or drawings of what you would like us to etch. Whether your engraved landscaping stone is simple in its design or more complex, Always in Stone always gives all of the attention and care that is necessary to do it right. This assures that your landscaping stone will be the perfect accent to your special place.